Our customers can look forward to convenience at your fingertips without compromising on comfort, quality or style. There are three nearby train stations close to The Pod Sydney. 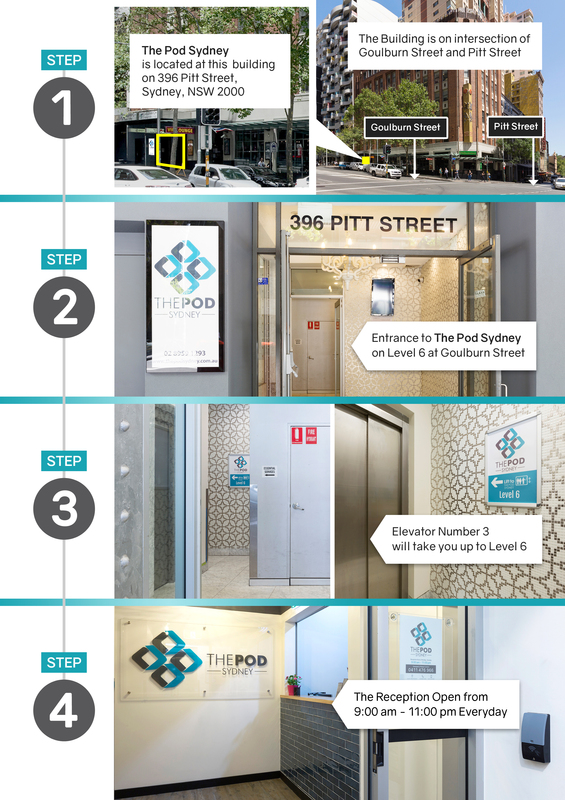 Each stations is walking distance to The Pod Sydney. The pick up point at Sydney Domestic Airport is locate in baggage carousel Number 5. Please make sure be there when you exit from gate terminal. There will be number of shuttle bus companies offer services at baggage carousel number 5. Ask staffs at the airport for direction. You will need to be at the meeting point in Sydney International Airport. There is only one meeting point at the Sydney International Airport where shuttle bus pick up people to Sydney CBD (Please ask any staffs at the airport). Please don't get confuse with passenger pick up point because that is where people get pick up by family and friend. Price range starting from $15 to $20 per person depends on shuttle Bus Company available at the time of your arrival. Please tell them to drop you off at the corner of Pitt Street and Gouldburn Street. Price: $40 - $60 in total depends on the traffic at the time of your arrival. Price may vary if you are travel from any other location of Sydney. Please contact The Pod Sydney front desk if you required more information. 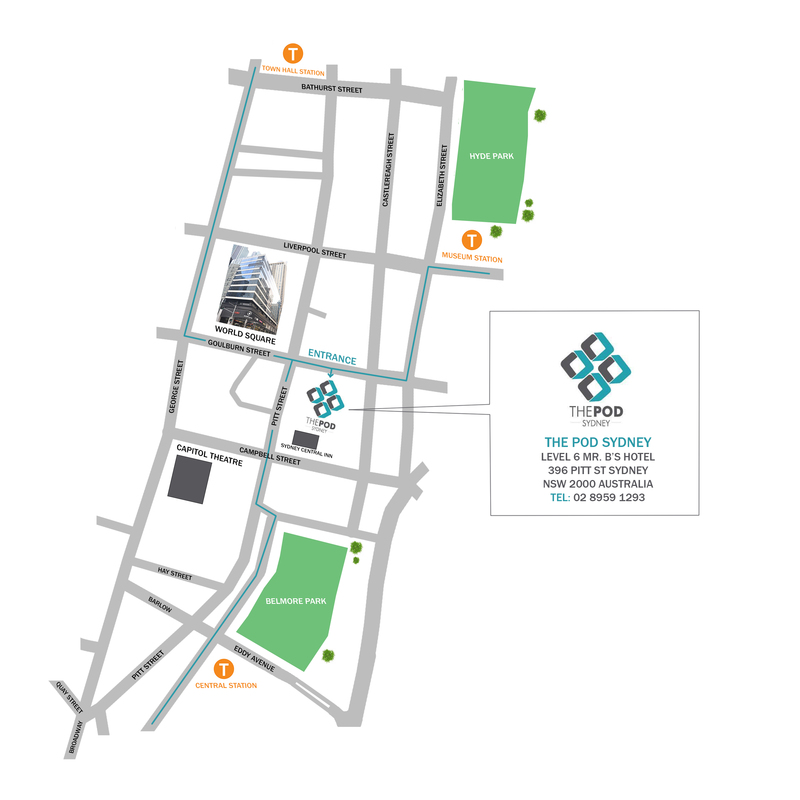 We do not have parking area on site, but there is a secure parking for hire right next to The Pod Sydney. It will be about 3 minutes walk from The Pod Sydney location. Please go on to http://www.secureparking.com.au/car-parks/australia/nsw/sydney/goulburn-street for more information.